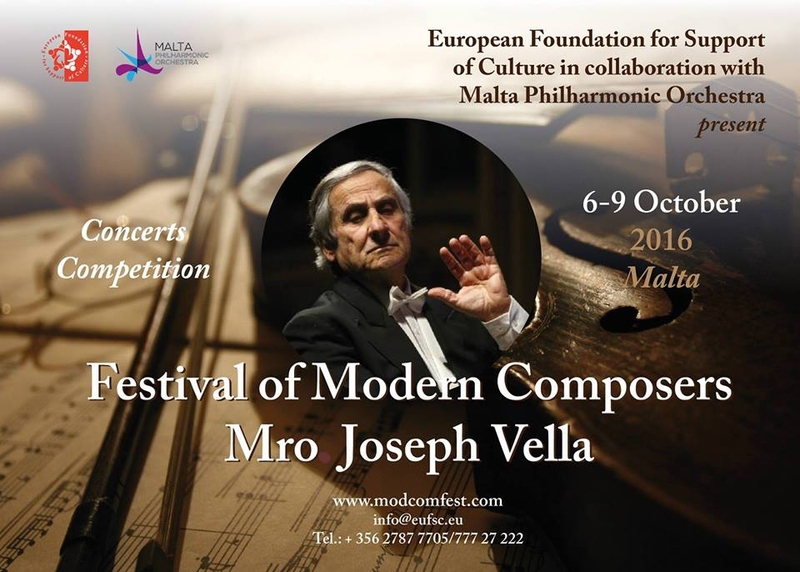 Festival of Modern Composers will be launched in October 2016 with its 1st Edition dedicated to one of the famous composers in Malta Mro Joseph Vella. The project is implemented by European Foundation for Support of Culture (www.eufsc.eu) in collaboration with Malta Philharmonic Orchestra (www.maltaorchestra.com). The Programme of the Festival will consist of Concerts and Competitions which will be held from the 6th of October to the 9th of October 2016. You can go through the website www.modcomfest.com for all necessary information. Should you require any further assistance or information, please do not hesitate to contact us through the website www.modcomfest.com.